Last Week For 20% Off Sports Basement! The Boosters 20% Off Promotion At Sports Basement Ends In One Week!!! 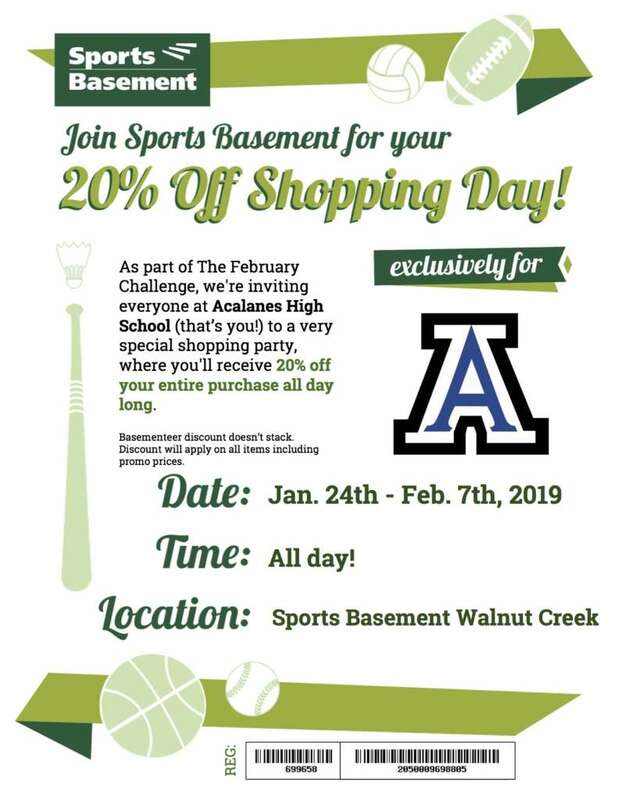 Sports Basement has again been gracious enough to offer a promotion to help both you and Acalanes Boosters. If you present the flyer above you will get 20% off your purchase, and a portion of your purchase total will go to help fund Boosters. So, if you need some athletic clothing or gear, be sure to drop by Sports Basement and take advantage of this great deal!